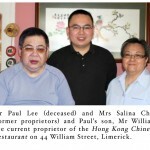 Hong Kong Chinese Restaurant, serving the people of Limerick for over fifty years. 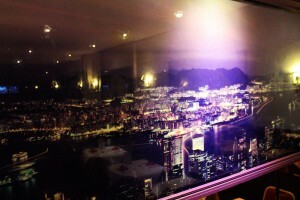 Welcome to Hong Kong Chinese Restaurant. 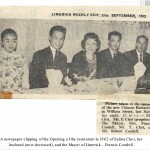 Originally named the International Chinese Restaurant, the Choi family who came from Hong Kong opened the restaurant in 1962 on 44 William Street, Limerick. 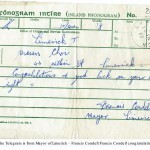 At the grand opening was then Mayor of Limerick Francis Condell.Â Two years later the Chois sold the restaurant to their close friends the Lee family who also came from Hong Kong, and they renamed it “Hong Kong Chinese Restaurant” after their homeland.Â Over fifty years later, the Hong Kong has become a Limerick establishment as the first Chinese in the Treaty City.